At the age of 15, Steve discovered an old ship bell in the sea, whilst diving off the end of the Busselton jetty in the Margaret River. The bell belonged to the SS Koomilya, a wood- lugger that journeyed regularly between Western Australian and South Australia, and was put to good use in World War II. Steve liked that bell, took it home, and cleaned it up. During his time as Chief Winemaker at Hardys, Steve was exposed to many and varied vineyards from across the country, applying his craft to thousands of wines. There was one vineyard in particular that caught his palate, a small hectare property on Amery Rd, planted in the 1930s. Steve was determined to own that property. After hassling owners Don and Jill Cant for the good part of the next two decades, he wore them down, and they finally asked him to make an offer, and the deal was done in 2012. Steve: I remember hand delivering one of the first cases of Koomilya DC Block Shiraz to Don and Jill one hot summer's day. They both walked me back to my car, despite the heat, and their age, and as I was leaving Don said with a tear in his eye 'Steve is fulfilling both the potential of that vineyard, and my personal dreams that I wasn't physically able to fulfil for myself'. It's a beautiful thing, and the main reason why the two premium single block wines are named after such a wonderful couple. Koomilya means women in Port Lincoln Aboriginal dialect. And considering Steve's love of this property, pursuit of ensuring each and every wine has a sense of place, the vineyard almost named itself. Enchanting almost mystical when you first visit, Koomilya has it all. From the old house, abandon sheds full of old equipment, a random rundown caravan, a Hills hoist, and a central souring gum tree which seems to reach the clouds. It's a vineyard full of history and character every where you turn. 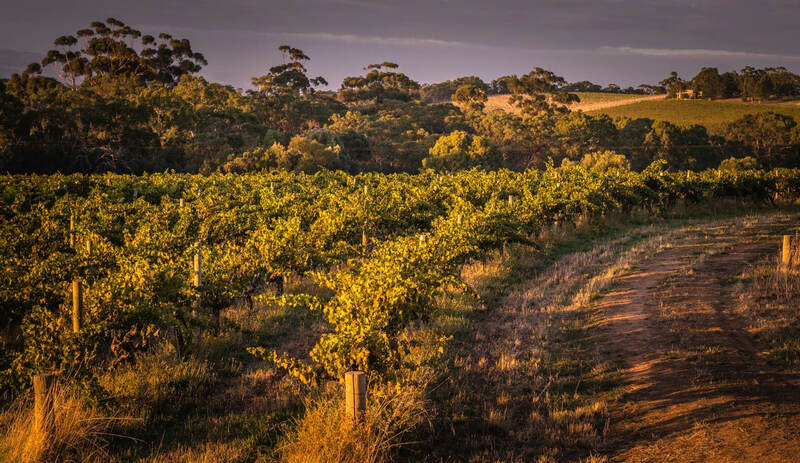 The site encapsulates not only elements from Steve's journey, both past and present, but draws on the history of Australian Winemaking as a whole.